Funny what we guys will talk about here. So, towels and more, washcloths. First...I have these really good Turkish towels, SALBAKOS, thick, soft. But, I found the washcloths just too soft and thick, kinda miniature towels. some of you might like these too. They have a waffle/ nubby texture see pics. 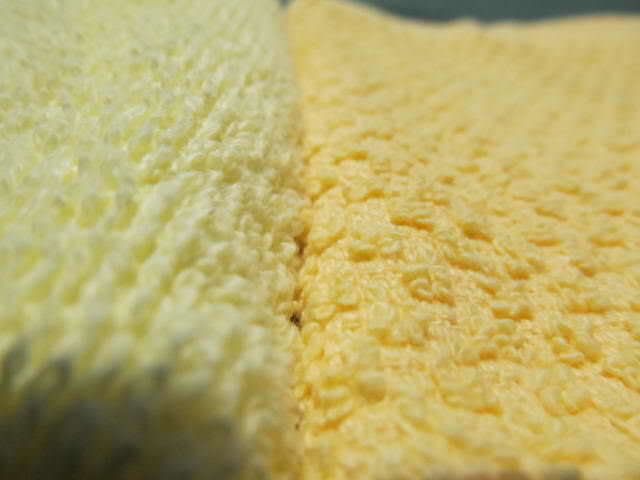 The yellow, your common washcloth. The Orange, the nubby one. 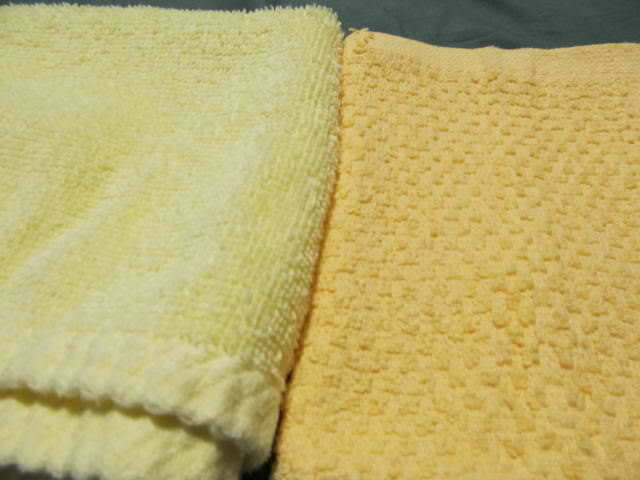 Great exfoliating cloth and thinner. I just bought some cheaper towels from Bed Bath and way Beyond. Wish I had shopped around more. We bought some really great towels at Restoration Hardware several years ago. They’re made in Turkey. I made a couple shaving logo towels that I use, alternating them weekly, with my daily shave. I used a very easy iron-on process for them, which I'd be happy to outline to anyone interested. Here are images of them from when they were new 2-1/2 years ago. They have faded somewhat now but still look OK. (See my SOTD image for today.) It might be time to make some new ones. (08-30-2018, 09:31 AM)churchilllafemme Wrote: I made a couple shaving logo towels that I use, alternating them weekly, with my daily shave. I used a very easy iron-on process for them, which I'd be happy to outline to anyone interested. Here are images of them from when they were new 2-1/2 years ago. They have faded somewhat now but still look OK. (See my SOTD image for today.) It might be time to make some new ones. What's the Ruby knife for? Spreading the shave cream? I use the knife to transfer a small dollop of shaving cream from the jar to my scuttle's bowl. We found some of the most luxurious towels at Walmart of all places. They are Walmart brand made in India. They can be identified by the "Quick Drying" description. Crazy thing is all of the Walmart stores in our area don't sale them. 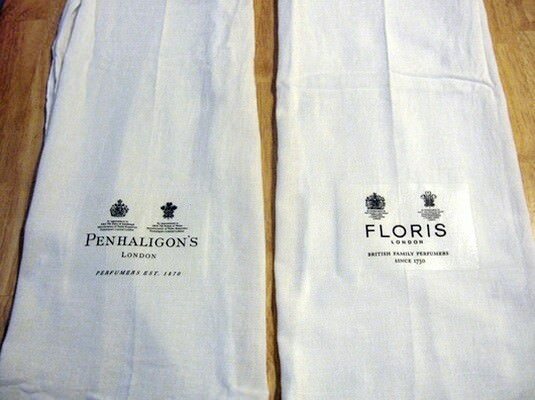 They are close to the other Mainstay brand, but if they do not say Quick Dry it is not the same towel. I know this because we bought a couple to try and went back to a different store and figured it out. For the price, I love using one for my shave. I have some of the nubby ones like the OP has and they have became rough over time. We tried fabric softener to bring them back with no luck. I recently bought some barber's towels at Amazon. 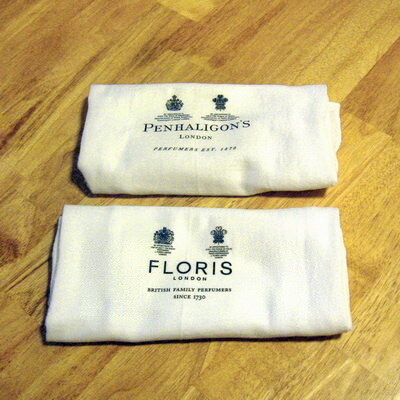 They are fine for hot towel/cold towel treatment and very comfortable for wiping off lather, cleaning razor etc.